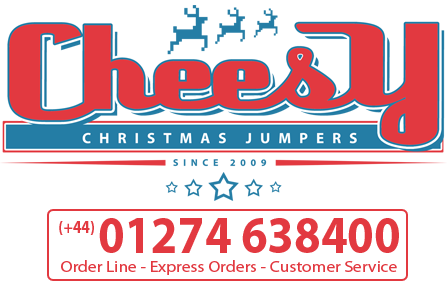 Your Christmas season would not be complete without a Cheesy Christmas Jumper. Our 2018 Christmas Jumper collection is our most adventurous, daring, ugly and colourful in our 9 years of designing and producing novelty jumpers and cardigans. Our premium quality jumpers for 2018 are inspired from retro Christmas jumpers of the past to create a colourful and novelty collection which will be perfect for the office xmas party or gathered around the dinner table this Christmas time.